Dreaming of vinyl . . . 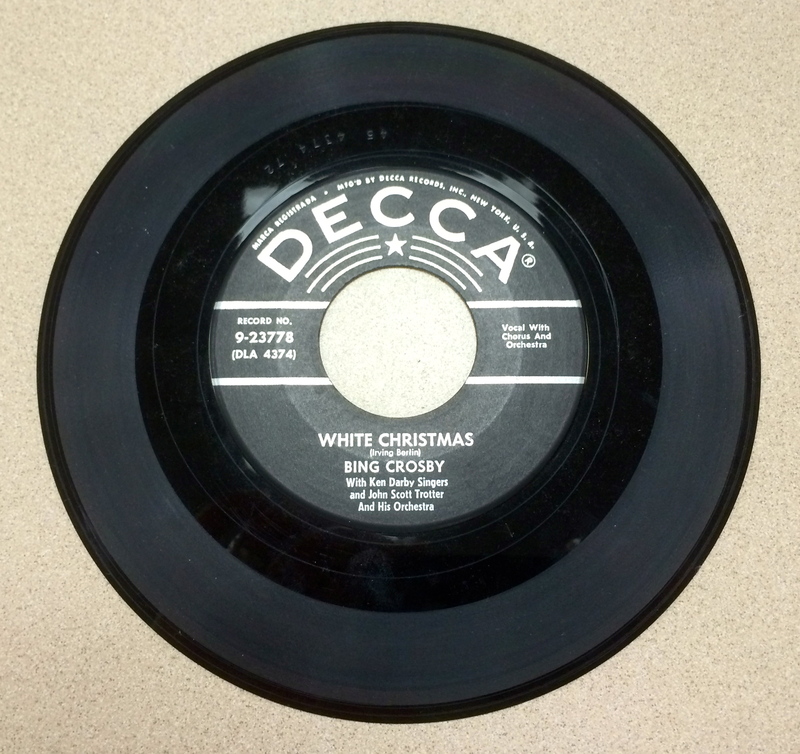 Here is something you don’t hardly see anymore even though it was once ubiquitous in most American households: a 45 single of Bing Crosby’s “White Christmas.” Crosby’s rendition of the Irving Berlin standard has sold in excess of 50 million copies since its release in the early 1940s. My favorite “other” version is Pink Martini’s; unlike most groups they include the first, lesser known verse in their rendition. The disk above was donated for the book sale in the library where I work. Some lucky bloke will go home with this for all of one buck. This morning a few of us were passing it around as if it were the Rosetta Stone. Note what good condition it is in. It even comes in its own original paper sleeve. And yes, it was cool.